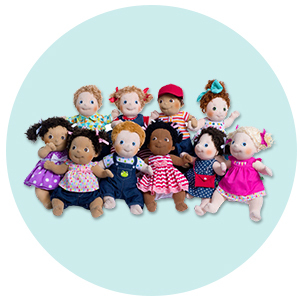 A hand-picked collection of traditional toys and gifts for 8 year olds that are educational, inspirational and fun. From stunning puzzles that require concentration and problem-solving skills to fantastic figurines perfect for small world play. Plus, amazing magic tricks and great arts and craft sets. Shop a fantastic range of magic sets, puzzles, dolls, fantasy figurines and other toys for 8 years olds . All of which provide great opportunities to get imaginative and creative. 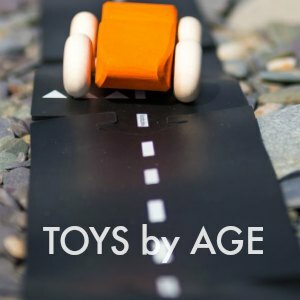 Find the perfect toys and gifts for 8 year olds that will engage and inspire them encouraging many more years of play. 3. A good old-fashioned Jigsaw puzzle. 4. Djeco Cubissimo or Polyssimo educational games. 5. A Grimms Magnetic Puzzle. 7. Card Games and Board Games. There's nothing better than the feeling of achievement when you make something from scratch. Whether it's a sewing, knitting, baking or carpentry. Giving a child a set of real tools that can actually be used to make and create shows them that you trust them and allows them to start risk assessing for themselves. Having a saw that can actually cut wood, and them, gives children a far greater sense of respect for the tools. They know they have to look after them and keep them safe and will be proud of the things they create. We have two great sets available at Babame. 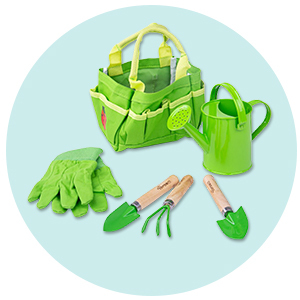 The Big Jigs Junior Toolbox and the Moulin Roty Large Toolbox Set. Both contain a great selection of scaled down versions of real tools that are sharp enough to cut real soft wood. Buy some balsa wood and some little screws or nails and allow your child to make their own dolls house furniture, boxes for treasures, castle or whatever else they desire. 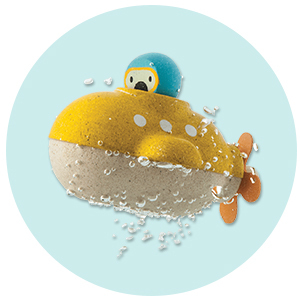 The Djeco Arty Toys are beautifully designed and illustrated action figures that are sure to be collector's items in future and are perfect for imaginative and creative play. Choose between hero's, knights, princesses and pirates or mix and match. 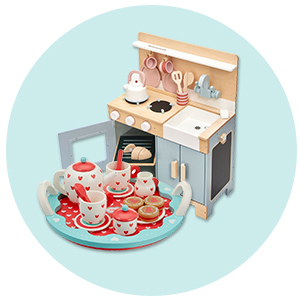 These movable figures come with a range of different accessories to enhance play. 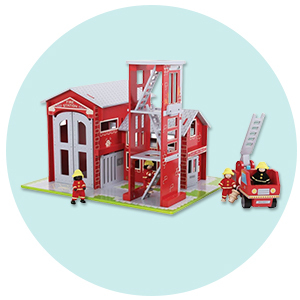 We also love their pop-to-play range for this age group. Made of hardwearing cardboard the pop-to-play range includes a pirate ship, castles, a magical tree house and even a spaceship and garage. 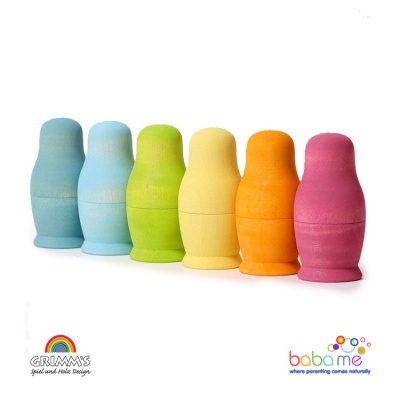 They fold flat for easy storage or make a beautiful room decoration and a great way to store and display the figurines. A good old-fashioned Jigsaw puzzle. 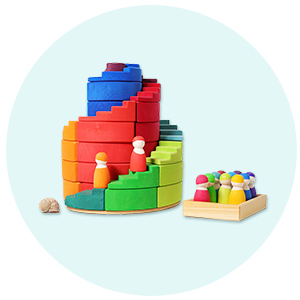 Puzzles are the perfect toy for encouraging concentration and problem-solving. 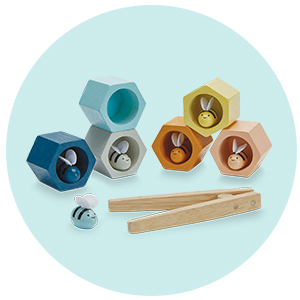 They exercise the mind and improve hand-eye coordination and fine motor skills. Puzzles are also a great activity for sitting down and spending time with your child. We love the Djeco Puzzles for their amazing illustrations and a great range of difficulties. By the age of eight you would generally be looking at puzzles with about 250 plus pieces although of course, every child is different. If your child is new to puzzles or finds it difficult to sit and concentrate for a long time that a puzzle with fewer pieces might be a better place to start as they will get a sense of achievement more quickly. The puzz art range from Djeco break all the normal conventions of jigsaws, there are no square edges, instead, they take the silhouette form of the puzzle. 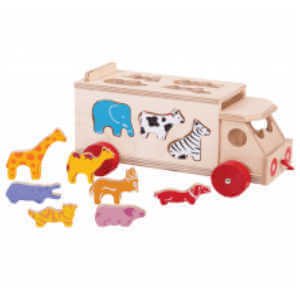 We love the Lion and the Elephant as an introductory level puzzle for this age. They are bright and colourful and have 150 pieces meaning that even though they have no corners they are still totally doable. If you have a keen puzzler however you might like to try the Boa or the Seahorse. With 350 pieces each these are a great challenge without being too tricky and they look absolutely beautiful once done. And for even more of a challenge and a beautiful piece of art at the end of it try the Gallery Puzzles. These have up to 100 pieces and make a great puzzle to do together. Plus they are so lovely you might end up wanting to frame it and keep it. Djeco Cubissimo or Polyssimo educational games. 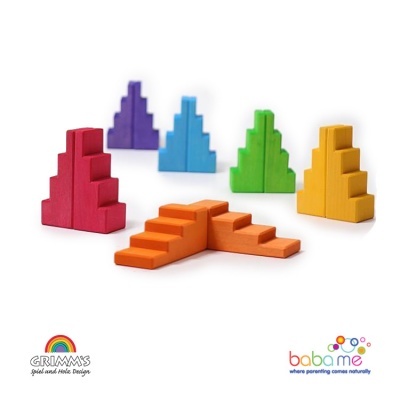 These brainteasers are perfect for exercising the mind and developing critical thinking, patience and concentration. The cubissimo game comes with 7 pieces and 30 challenge cards of varying levels of difficulty so that everyone can join in. With the eventual aim being to get the pieces back into the shape of a cube. The Polyssimo puzzle is similar in concept and has 11 pieces, a board and 30 challenge cards. You get given a starting point and have to figure out where the remaining pieces go. These are great games for the whole family to join in with and would make a great stocking filler to keep kids amused on Christmas morning. These are also great fun to take on a family holiday. 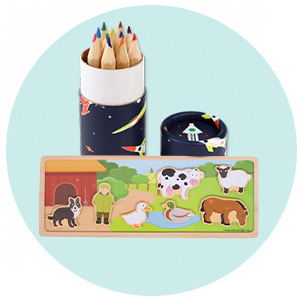 The Grimms magnetic puzzles are beautifully crafted and lots of fun as children can use the pieces to create their own works of art time and time again. They make great travel toys as the pieces come in a metal black box. Perfect for long train or plane journeys or sitting in a waiting room or restaurant. There are lots of different sets to choose from. We love the sparkly bits in the Triangle, square, circle puzzle, the beauty of the rainbow spiral puzzle, and the challenge of getting the geographical puzzle back into a square. And of course, you can add even more variety by getting different sets and mixing up the pieces. Magic tricks are lots of fun but they also offer a great learning experience for children. Learning the tricks, whether simple or complex, requires a systematic approach in order to reach their objective. A great transferable skill that can aid learning in other areas as well. Magic tricks are also great for developing fine and gross motor skills, concentration and building confidence and self-esteem. Even simple magic trick games once learnt can be shown off to friends and family with great effect. The Djeco Occulus makes a great stocking filler or party gift. Or go all out and get the Magicam set. A whopping 30 tricks to master that will have family and friends enthralled. Another great way to engage and interact with kids are card games and board games. They offer a great opportunity to play together and are also great for developing vital skills such as strategy and critical thinking. Even a simple game of connect 4 requires the winner to be able to think ahead and predict their opponent's next move. And draughts is a great game for to introduce the concept of strategy. Once they have mastered the basics this soapstone chess set is a beautiful gift that will be treasured for years. Who knows maybe they will even teach their own children or grandchildren to play on the same set one day.